In light of 1 John 4:1 which says "Beloved, do not believe every spirit, but test the spirits to see whether they are from God, because many false prophets have gone out into the world" the purpose of this article is to compare the A.M.E to the perfect Word of God to determine whether it is a biblically sound new testament church. After comparing the A.M.E church to the perfect Word of God, can one say it is a biblically sound church? The answer is no. This article will show why with scripture. According to http://ame-church.com/( the official website for the A.M.E) the A.M.E describes itself as "Also known as the A.M.E. Church for short, the denomination is Methodist in terms of its basic doctrine and order of worship. It was born, through adversity, of the Methodist church and to this day does not differ in any major way from what all Methodists believe. The split from the main branch of the Methodist Church was not a result of doctrinal differences but rather the result of a time period that was marked by man’s intolerance of his fellow man, based on the color of his skin. It was a time of slavery, oppression and the dehumanization of people of African descent and many of these un-Christian practices were brought into the church, forcing Richard Allen and a group of fellow worshippers of color to form a splinter denomination of the Methodist Church. 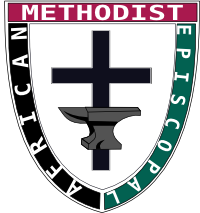 To find the basic foundations of the beliefs of the African Methodist Episcopal Church, you need look no further than The Apostles’ Creed and The Twenty Five Articles of Religion:"
An examination of their beliefs show that the A.M.E church follows general Wesleyan theology which is followed by the Methodist denomination from which it split. This includes belief in the sinfulness of man, the holiness of God, the deity of Jesus Christ, and the literal death, burial, and resurrection of Jesus for the salvation of man, etc. These are held in common with biblically sound Christian churches. With regards to the Methodists as a church denomination, it is sad to note that "belief in the inerrancy of Scripture is low among Methodists, although they affirm the authority of the Bible (2 Timothy 3:16)." (http://www.gotquestions.org/Methodists.html) In other words, the Bible (66 books) is not seen as the perfect Word of God and authority on all matters of life among Methodists. The A.M.E church beliefs can be found at their official website. 2 Timothy 3;16 says "All Scripture is [a]inspired by God and profitable for teaching, for reproof, for correction, for [b]training in righteousness"
God's Word is the standard. God by his character revealed in his Word determines what is right and wrong. Not culture, man, or opinion, civil rights movements, government, etc. etc. The main reason why the A.M.E church is not a biblically sound new testament church is because it ignores God's Word on how his church is to be ran by ordaining women as Pastors/Bishops. A quick look at their leadership shows this. This is of no surprise because the A.M.E elevates social justice above the gospel and ultimately the Word of God . You can easily discern this by viewing their motto and mission statement. It is not gospel centered taking into account that the gospel is of first importance 1 Corinthians 15:1-3 and that the church is to glorify and proclaim Christ while waiting for his second coming 1 Thessalonians 4:16-17. The motto and mission statement give the impression the church's main purpose is to combat social ills- to make this depraved world a better place instead of pointing to Christ and his return while being faithful to the great commission and nurturing the body of Christ. Christians are called to speak out against injustice(Proverbs 31:9) but not by making the gospel of Christ a sidenote. The gospel is of first importance 1 Corinthians 15:1-3. The Church is not an agent for social change. The A.M.E masquerades as a church but is actually a civil rights group founded on biblical principles by virtue of it's mission statement and motto. The Church is called to elevate the Word of God and the proclamation of the gospel over social injustices or perceived social injustices. Jesus' kingdom is not of this world John 18:36 and God's church is the pillar and support of the truth 1 Timothy 3:15. The A.M.E is conforming to a twisted and sinful worldview of egalitarianism- the belief that of, relating to, or believing in the principle that all people are equal and deserve equal rights and opportunities. Nothing wrong with equal rights. The problem is when the definition of "rights" goes against God's Word. The A.M.E church unbiblically ordains female pastors because they minimize the authority of the Word of God for political correctness and whatever is the "civil rights" topic of the day. Their false belief in ordaining female pastors is rooted in the belief that women are discriminated against and can pastor even though the Word of God has clearly given instructions on how his church is to be run. Men and women are equal but have different roles as defined by Christ- Genesis 2, 1 Timothy 2:12-14. Side note: The A.M.E has a history of "evolving" their beliefs to suit the popular sinful worldviews of the time around them instead of sticking to God's Word in all things because God's Word is truth (John 17:17) and his Word does not change -Luke 21:33 . The A.M.E boldly declares their unfaithfulness to God's Word on their motto page. They changed their motto to support the Azua street mission which spreads heresy. They did this for "inclusiveness". Their motto information is found here - http://ame-church.com/our-church/our-motto/ Why would any Bible believing Christian who loves Christ and seeks to worship him in Spirit and truth support or attend a church that minimizes the authority of scripture for social issues and is tossed to and fro by every strange doctrine? "1 Tim. 2:12-13 says, “But I do not allow a woman to teach or exercise authority over a man, but remain quiet. 13 For it was Adam who was first created, and then Eve.” First of all, Paul clearly states that he does not allow a woman to teach or exercise authority over a man – because Adam was created first. Therefore, this is not a cultural issue. It is doctrinal. Furthermore, in the next chapter Paul instructs us in 1 Tim. 3:15 that he is teaching Christians how to conduct themselves in the church which means that Christians are obligated to follow what he is saying. It is not just Paul’s “opinion." In the church, when a woman is a pastor and/or elder, she is in a place of teaching authority over men and in violation of the command in 1 Tim. 2:12-13. Second, note that Paul wants women to remain quiet. The Greek word used here is hesuchia which means to “keep it down,” not to be absolutely silent (sigao). Therefore, women are to remain quiet and not teach men in an authoritative context – which is exactly what being a pastor and preaching is about. Titus 1:5-6 says, “For this reason I left you in Crete, that you might set in order what remains, and appoint elders in every city as I directed you, 6 namely, if any man be above reproach, the husband of one wife, having children who believe, not accused of dissipation or rebellion.” The phrase “the husband of one wife,” in Greek is literally “man of one woman.” This same phrase is used of the Bishop in 1 Tim. 3:2 and the deacon in 1 Tim. 3:12. Remember, Paul is speaking of church officers, not those who serve (diakonos) in homes (Rom. 16:1,27). A female elder and/or pastor cannot meet this requirement of being a “man of one woman.” Remember, this is not a culturally based issue in light of what Paul said in 1 Tim. 2:13, “For it was Adam who was created first.” Finally, Bibles generally translate “man of one woman” as “husband of one wife” because the context is dealing with family (i.e., children, v. 6). 1 Tim. 5:17 says “Let the elders who rule well be considered worthy of double honor, especially those who work hard at preaching and teaching.” This tells us that the elders are to receive honor, especially those who preach and teach. Therefore, in the church the preacher, the pastor, is an elder by definition–who is supposed to be a “man of one woman.” According to Scripture, this cannot be a woman. Whether anyone likes it or not is irrelevant. What does God’s Word SAY? Gal. 3:28 says, “There is neither Jew nor Greek, there is neither slave nor free man, there is neither male nor female; for you are all one in Christ Jesus.” This verse is not about women pastors and elders. It is speaking about salvation. Those who are “in Christ” are saved (Rom. 6:11; 8:1). Deborah (Judges 4,5) was an Old Testament Judge, not a New Testament elder/pastor in the church. Prophesying women (Acts 21:8,9) are not elders/pastors. Priscilla (Rom. 16:3,4), a fellow worker in Christ, is not said to be an elder/pastor. Phoebe (Rom. 16:1) is a servant (diakonos) of the church, not an elder/pastor. Note that Jesus came not to be served, but to serve (diakonos), (Mark 10:45). The government is called a minister (diakonos) of God (Rom. 13:4). Junia (Rom. 16:7, see www.carm.org/junia) may have been a female apostle (not one of the 12), though this is debated. There were different kinds of apostles. Jesus is called an apostle in Heb. 3:1. Some apostles had authority to write scripture, and others did not. Still, even if Junia were an apostle, they are not for today since one of the qualifications of being an apostle is having seen the risen Lord (1 Cor. 9:1). The Chosen Lady of 2 John 1 is an honored woman, not a pastor/elder. What about a woman who says she is called by God to minister? Women ministering are fine – to other women (Titus 2:3-4). But, they are not to be in places of teaching authority over men in the church as the Bible clearly states in 1 Tim. 2:12-13; 3:15. Still, some say that it is okay for women to be pastors and elders because they claim to be called by God and also show fruit of that calling. So what? Having ability doesn’t equal calling. First of all, the teaching contradicts God’s Word. God will not call a woman to teach and exercise authority over men – in the church -- when He has taught otherwise (1 Tim. 2:12-13; 3:15). Remember, he says the elder (pastor/teacher per 1 Tim. 5:17) is to be a MAN of one woman! (Titus 1:6, “husband of one wife” is literally “man of one woman”). Second, appealing to a “calling” and manifested “fruit” is equivalent to making doctrine based on experience. Since when does experience dictate biblical truth? All “feelings” and “callings” and “experiences” must be submitted to scripture, not scripture to your “feelings” and “callings” and “experiences”! Otherwise, you will end up in error (See 2 Thess. 2:3). Again, how can a woman be in a place of authority as a pastor/elder in the church and not violate the non-cultural command of 1 Tim. 2:12-13 where Paul clearly says he does “not allow a woman to teach or exercise authority over a man...for it was Adam who was created first, then Eve”? She cannot! Remember, Paul says it is because of the created order of Adam before Eve–before there was any culture. Again, he is giving instruction to the Christian church on how it is to operate (1 Tim. 3:15)! Furthermore, it doesn’t matter if a woman pastor and/or elder is under the authority of her husband who might be a pastor, or even some other male pastor, when she “preaches” and “teaches.” She is still in a place of authority over men in the church which, again, contradicts what Paul clearly teaches in 1 Tim. 2:12-13. Think about it. What does the Bible say? Third, people often cite other verses out of context and in opposition to 1 Tim. 2:12-13 and Titus 1:5-7 and thereby set scripture against itself. The result is getting 1 Tim. 2:12-13 to say the opposite of what it actually says. Essentially, they use other scriptures to justify a change of the meaning of the text from “I do not allow a woman to teach or exercise authority over a man...” to, “I do allow a woman to teach or exercise authority over a man...”. Why do people do this? Is it for political correctness, feelings, or a push for equality? Who knows? But it is sinful when it contradicts God’s Word. Christians need to believe God’s Word and not put their personal preferences, sensibilities, and indoctrination from the world before it. Don’t be politically correct; be Biblically correct. If the Christian church does not adhere to God’s word, then apostasy is guaranteed. A little leaven eventually leavens the whole lump (Gal. 5:9). Research shows that churches that twist the Word of God in one area begin to twist the Word of God in other areas. A little leaven ruins the whole lump- Galatians 5:9. Churches that ordain female pastors eventually go on to support gay marriage, abortion, and also deny the inerrancy of the Bible, etc. To the leadership of the A.M.E, you guys are in grave sin and misleading people and you will reap what you sow. God's judgement will be stricter on you. You need to repent and believe the gospel and also question if you truly know Christ. James 3:1 says Not many of you should become teachers, my brothers, for you know that we who teach will be judged with greater strictness. Amen! This is absolute truth! There is a famine in the world for the Word of God. Very few pastors teach through the Bible, from Genesis 1:1 - Revelation 22:21, the full counsel of God. Jesus told Peter to "feed My lambs,..feed My sheep". "Faith comes by hearing, hearing by the word of God." "My people perish for lack of knowledge." Life is sacred, all life matters. May the Lord bless you and keep you. Maranatha!